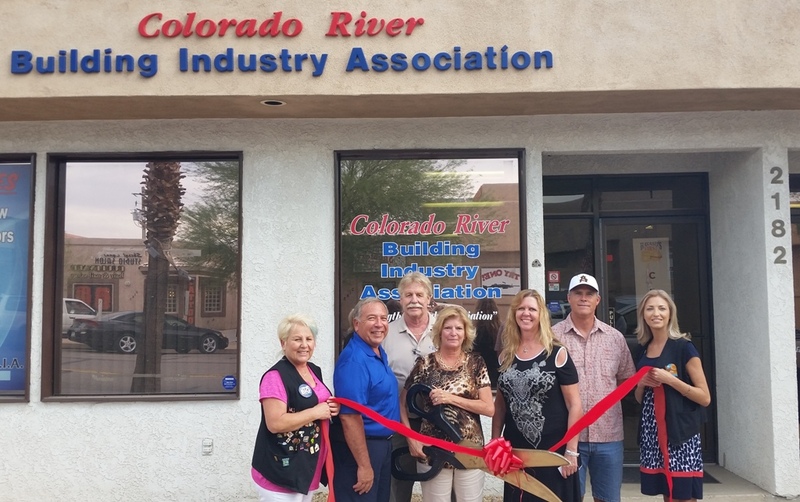 The Lake Havasu Area Chamber Ambassadors held a ribbon cutting ceremony for Colorado River Building Industry Association (CRIBA), celebrating 45 years of partnership with the Lake Havasu Area Chamber of Commerce. CRIBA was originally the Homebuilders Association and was established in 1974. CRIBA is proud to be a part of the growth of our community and to see the upturn in the construction industry. 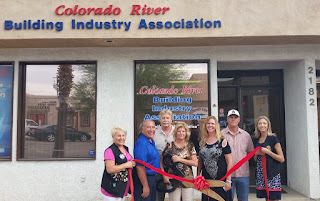 Attending the ribbon cutting from left to right were Terrie Colella, Tom Otero, Keith Toy - Colorado River Communications and CRBIA President, Lisa Theophilus - CRIBA Director of Operations, Debbie Des Chene - MDIC Insurance, Allan Atwell - Campbell Redi-Mix and Tami Auten.